Ph.D Social Sciences (University of La Plata). M.A.in Political Science (Latin America Faculty of Social Sciences, Ecuador). Her current fields of research are political processes in Latin America, political conflict; state return and post-neoliberalism in South America, political representation. She has been professor at the Institute of National High Studies in Ecuador and at the Journalism and Social Communication Faculty in the University of La Plata. 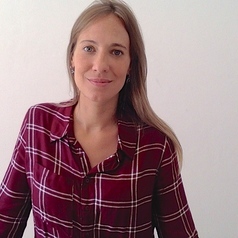 She is a postdoctoral fellowship with a grant from the National Scientific and Technical Research Council in the Institute for Research in Humanities and Social Sciences (University of La Plata).